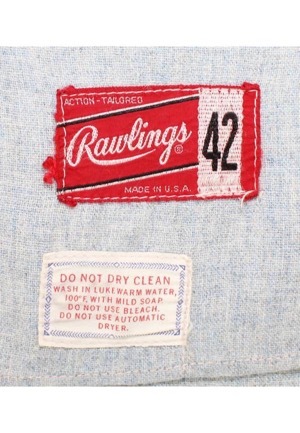 On the front left tail is the Rawlings manufacturer’s tag size “42”. Adjacent below is a strip tag with washing instructions. 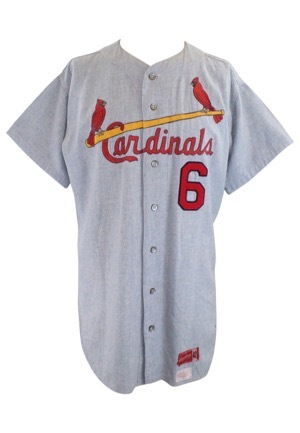 Across the chest reads “Cardinals” beneath their “birds on a bat” logo in red, blue and yellow embroidery. 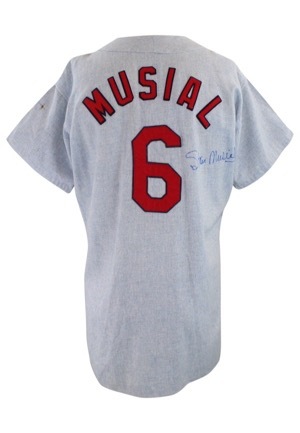 Adjacent below and on the back is the player number “6” across the back is the player name “MUSIAL”. These are done in red on navy blue felt. Musial signed on the back of the jersey in blue marker and in our opinion the signature rates a near 9. 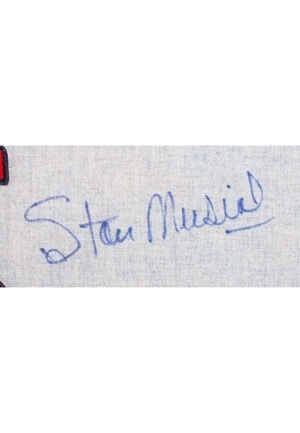 There is a number and name change for the jersey to display as a Musial. Accompanied by a LOA from JSA.